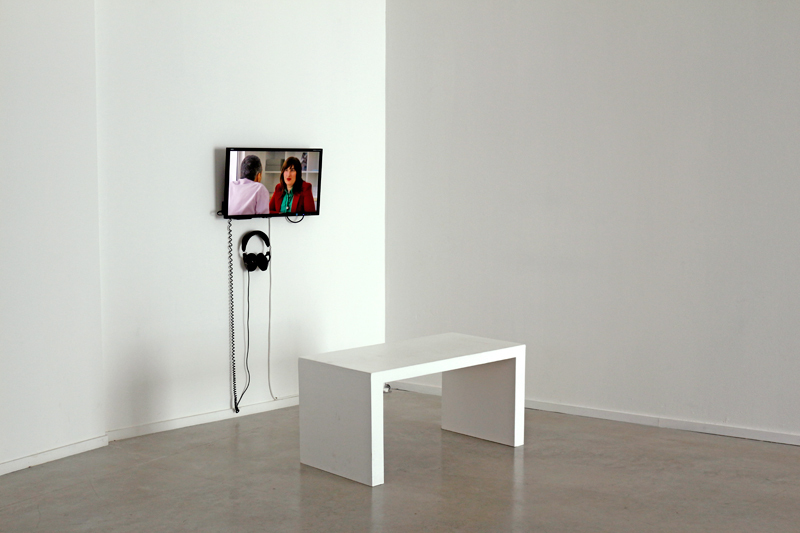 Video broadcast loop during the Global Snapshot exhibition, The Panacee, Montpellier, May 2015. Work : Emission End in 15 minutes. Interview inverted with the Greek journalist Eve Tsirigotaki about the disappearance of the Greek public broadcaster ERT. Location : La Panacée, Montpellier, France 2015. On 11 June 2013, the great Greek public broadcaster ERT stops transmitting brutally due to a government decision, leaving a big gap in the media landscape of the country. Two years later, the roles reversed for 15 minutes of transmission loop in an art center, I interview the journalist Eve Tsirigotaki talking about this rare episode in the history of a Western country. Production : Montpellier TV / La Panacée, City of Montpellier 2015. Yorgos Avgeropoulos, Small Planet Production, 2013.